All images from the Kennelly Archive catalogue are available for licensing. Select your usage requirements below and calculate the cost of publishing our images online, in print or broadcast media. 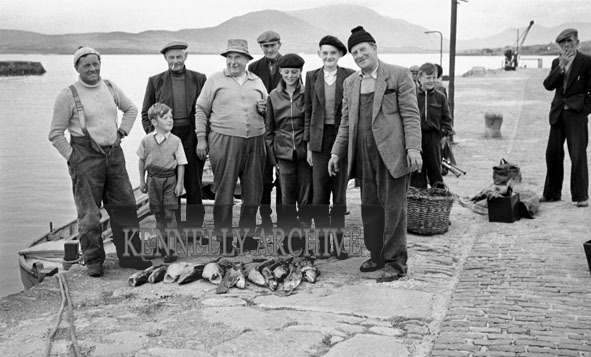 1953; A Photo Of Fishermen Posing For The Camera With Their Catches At Valentia Pier.